Businesses use a wide variety of apps, tools and services to communicate and collaborate everyday and now Slack is making things easier for Office 365 users by integrating Microsoft's services into its platform. The messaging service is getting a new Outlook calendar and mail app, an updated OneDrive app and users will now be able to preview Office files directly within Slack. The company is making it easier to keep track of all your meetings and calendar invites by bringing them into Slack through the new Outlook calendar app. Users will receive a message when a meeting invite arrives and they will even be able to respond with just one click. Reminders to join Skype, Webex or Zoom meetings will also appear and the Outlook calendar app will now be able to set your Slack status automatically based on your calendar including setting “out of office” as your status if it has been enabled in Outlook. Slack users can now bring emails right into their channels thanks to the addition of Outlook mail integration. They will even be able to forward emails directly from Outlook into a Slack channel with the new Outlook add-in. Importing files from Microsoft's cloud storage service will also be possible as a result of an update to Slack's OneDrive app. This functionality is similar to the company's existing Dropbox and Google Drive integration which allows users to browse files and add them into a channel or direct message. Working with Office documents will now be easier in Slack as the company is enabling full previews of PowerPoint slides, Word documents and Excel spreadsheets. These files can be previewed without having to open them and the firm hopes to bring this functionality to OneDrive files as well. While Microsoft Teams has been gaining ground in its fight against Slack, many businesses often rely on both products for their workloads. 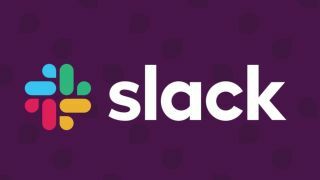 By offering greater integration with Microsoft's products, Slack is giving its users another reason to continue using its platform as opposed to searching for an alternative.